One of many reasons to keep this blog going is if I find myself enthusing about someone or something rather too much to accommodate it all on Samizdata. Too many photos of one event. Too much cricket. 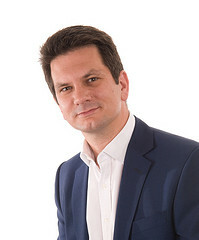 Well, now I find that I have too much enthusiasm for Steve Baker MP. Had I not already done two SBMP Samizdata postings last Friday and last Sunday, this at Baker’s own site would have had me doing another. I recall being at the Evans home on the night of the last general election. The only thing Tim Evans cared about - the only thing - was whether Baker won or lost. Thank goodness he won. I had never heard of this man until that night. Indeed. As earlier explained, I’m now concentrating most of my Fixed Quantity of Blogging on Samizdata. But you never know when BrianMicklethwaitDotCom might come in handy again, so I will keep it in business with occasional postings. Who knows what the future may bring? Good things for you, I hope.